When eighteen-year-old Peter Torjesen heard the call to China, he not only emptied his wallet into the collection plate, but included a small note with the words, “And my life.” A few years later he went to China with his bride, Valborg, and began working in a country about to be sucked into a maelstrom of war and revolution. Peter, whose Chinese name was Ye Yongqing, meaning “Leaf Evergreen,” and his wife opened their home and church premises in Hequ, Shanxi, to shelter up to 1,000 refugees during World War II. Prior to this they had planted churches and done medical and development work in the north-western corner of Shanxi Province for nearly 20 years. 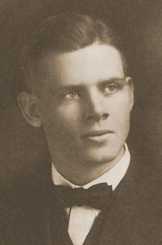 In 1939, Norwegian missionary, Peter Torjesen, was killed by a Japanese bombing raid while serving China in Shanxi Province. In 1988, local officials from Shanxi Province informed the Torjesen family that Peter Torjesen’s name was on the country roll of the people’s martyrs, and they wanted to erect a monument on the 50th anniversary of his death. Three generations of Torjesens attended the 1990 unveiling of the marble monument, upon which the story of Peter’s life and work was engraved in gold characters. On that occasion, a request was made to Peter’s grandson, Finn, who had facility in the Chinese language and extensive international experience, to return to Shanxi in the spirit of Peter Torjesen, continuing his work in helping the region deal with its social and economic needs. The Torjesen family accepted the invitation. In September 1993, Finn and his wife, Sandy, and their 6-year old twins left their work in Indonesia to begin long-term residency and work in China with two other couples. This start-up team established their homes in Taiyuan, Shanxi, and began investigating the most appropriate public benefit options. While obtaining official registration of Shanxi Evergreen Service, a wholly owned foreign enterprise (WOFE), Evergreen was also incorporated in California as Evergreen Family Friendship Service, a not-for-profit public benefit corporation. In the 23 years Finn and Sandy were a part of the work of Evergreen, Finn was the director and international “face” of Evergreen, educating organizations and individuals around the world about Evergreen’s work in China, as well as serving as an advisor regarding successfully working in China’s cultural milieu. Sandy worked in a number of capacities. They both were largely influential in establishing Evergreen as it is today. Evergreen now consists of an international team of Christian professionals from many countries who work alongside local partners toward the enhancement and sustainability of regional economic and spiritual development. 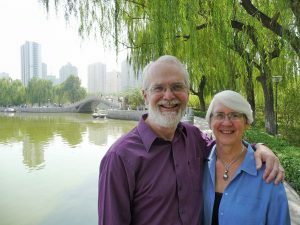 Our purpose is to partner with Shanxi and other Chinese provinces in developing public benefit services, continuing the good works of Peter Torjesen, acknowledging God’s gracious calling on our lives and reflecting the credibility of Christ. Read the Evergreen story and be inspired! “We Signed Away Our Lives” is a daughter’s engaging account of Peter Torjesen, a man who did not hesitate to lay everything on the line for the sake of the gospel. This expanded 10th Anniversary Edition includes events that led to the formation of present-day Shanxi Evergreen Service, Peter’s namesake organization. Shanxi Evergreen Service has actively served the people of China since 1993. Click here to order your copy of We Signed Away Our Lives, or contact our North American Office. Price is US $18.00 (US $20.00 in Canada/AU). Ask about quantity discounts.